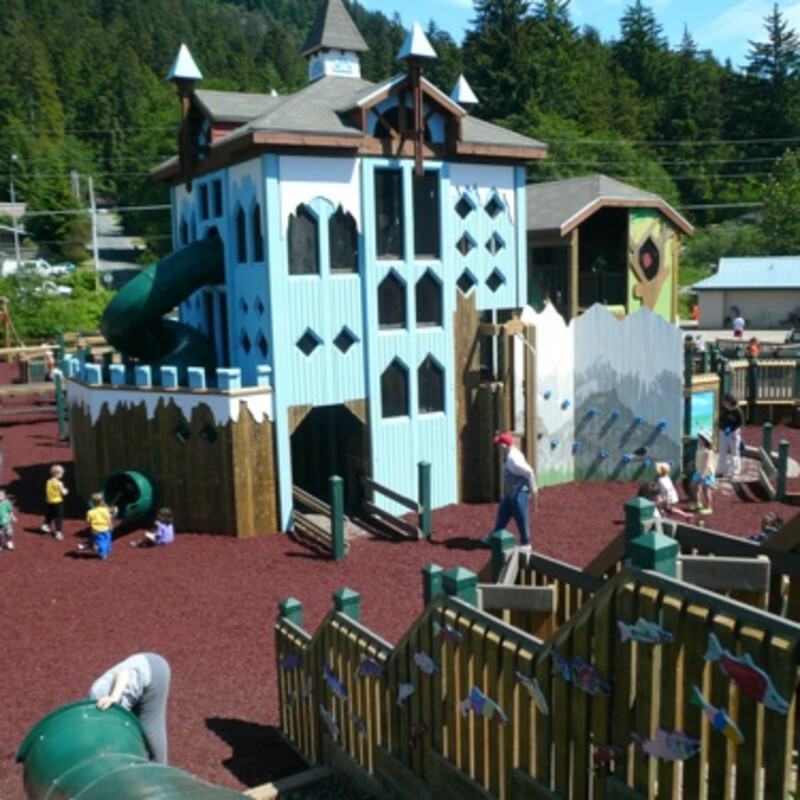 This half acre playground in Twin Lakes Park was a community initiative spawned by collaboration between businesses, non-profit organizations, volunteers, and the city of Juneau. The design team developed components of the playground based on the drawings and ideas of children. These student-supplied renderings have become a focal point of the playground, telling the story of Juneau’s rich Alaskan heritage. The playground includes a climbing wall, a solar-system trail, a four-story Swiss chalet, and a stairway that gives the impression of being salmon swimming upstream.